Probably the most glamorous city on the planet, New York is an urban adventure playground fuelled by iconic monuments, glistening skyscrapers, big-name museums, impossibly hip bars and restaurants, and a flourishing designer-led hotel scene. 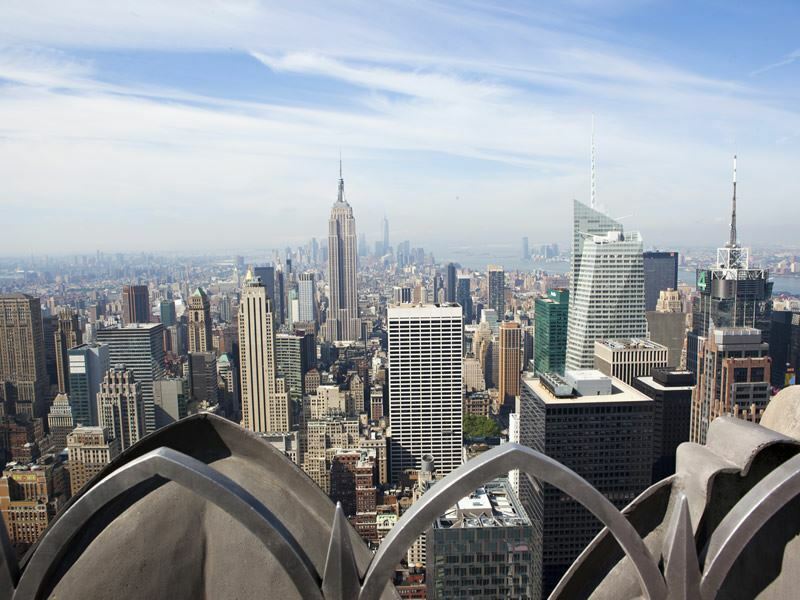 Here is our top 10 checklist for Big Apple adventurers. 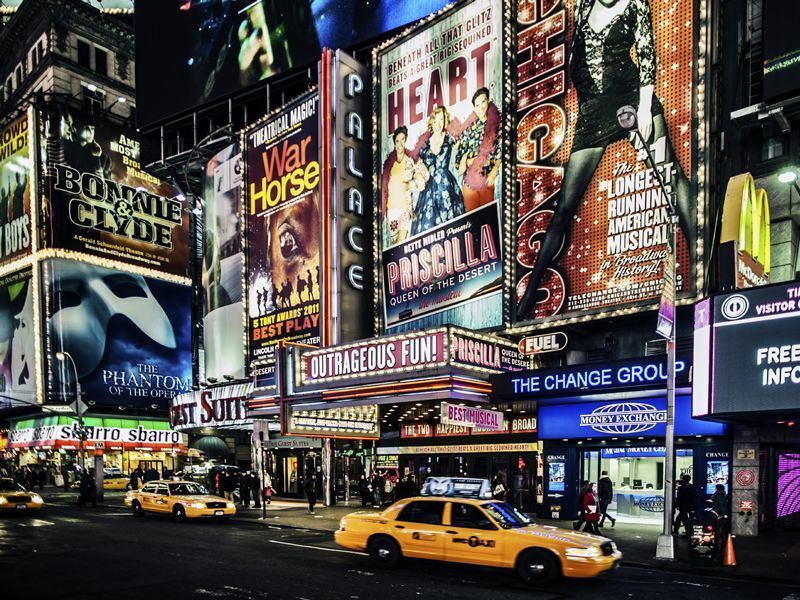 What: To see one of the megamusicals, starry revivals, and long-running stage plays ‘on Broadway’ officially means taking in a show at one of 40 legitimate Broadway theatres with 500 or more seats, mainly located between Sixth and Eighth Avenues. A theatre classified as Off Broadway has less than 499 but over 99 seats, and/or is outside of Manhattan’s official Theatre District. To confuse you further, an Off Off Broadway show is performed in a theatre with less than 100 seats. Highlights: Pre-booked tickets to the hottest Broadway shows do not come cheap. Savvy visitors should head to the TKTS ticket booth, a tourist staple that requires a fair bit of queuing but rewards with same-day cut-price seats to Broadway and Off Broadway plays, musicals, and recitals - savings vary from 25% to 50%. There are three TKTS Discount Booths operating in New York City, with the flagship booth located in the heart of Times Square. Cheaper still are SRO (standing room only) or ‘rush’ tickets - both of which are usually available at the theatre box office on the day of the performance. Where: Between Fifth Avenue and the Avenue of the Americas, from 48th to 51st Streets. What: Spanning 22 acres and sprawled across 19 buildings, Rockefeller Center - John D. Rockefeller Junior's historic mini-metropolis - lures with plenty of attractions and activities. Shop and dine on the two-mile Concourse, watch ice-skaters in action, and take the famous NBC behind-the-scenes studio tour. Most fabulous, though, is the Top of the Rock Observation Deck atop the GE Building – a dazzling 1933 Art Deco skyscraper nicknamed ‘30 Rock’ for its location at 30 Rockefeller Plaza. Take the lift to the 70th floor for mind- blowing 360-degree city views. Visit www.topoftherocknyc.com for tickets and timings. Highlights: The star-studded Christmas Tree Lighting Ceremony at the Rockefeller Center has been an annual tradition since 1931. Completely free and open to the public on a first-come, first-served basis, the tree lighting ceremony is a huge deal to New Yorkers. Ten of thousands line the sidewalks to watch 30,000 sparkling multi-coloured lights grace a tree that is usually up to 90-foot-tall and topped with a giant 550-pound, LED-powered Swarovski crystal star. 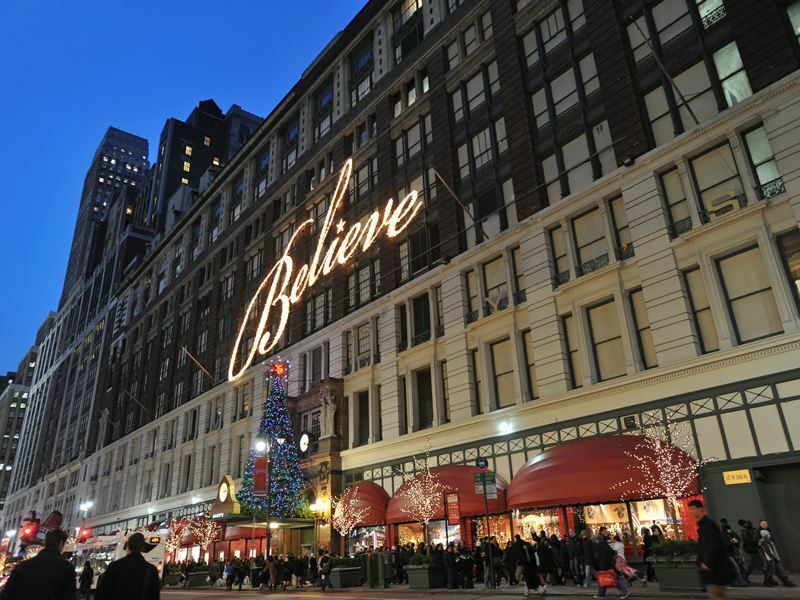 What: Christmas shopping in New York is practically an art form. As soon as the snow settles on the streets of Manhattan, the city becomes a magical winter wonderland complete with some of the most visually brilliant window displays - especially by the big-name flagship stores. Head to Fifth Avenue for upscale delights such as Louis Vuitton, Gucci, Tiffany & Co. and Dior, drop in at Barney’s New York on Madison Avenue, browse the racks at the speciality stores in SoHo, NoHo, Greenwich Village and Chelsea, and enjoy a merry spending spree at world-famous department stores Bloomingdales, Sak's Fifth Avenue, Macy's and Bergdorf Goodman. Highlights: The city goes into shopping overdrive during the festive season. But if packed-out department stores aren’t your thing, there are alternatives to fulfil consumer lust. Hit the Holiday Shops at Bryant Park, and visit the annual Christmas markets held at Union Square, Columbus Circle, and Grand Central. Bargain-hunters should venture an hour’s drive outside Manhattan to Woodbury Common - the much-hyped shopping paradise with 220 tempting factory outlets and designer discount stores selling luxury labels for far less than the original RRP. Where: In the centre of Manhattan. What: Probably the most famous park in the world, the first section of Central Park opened to the public in the winter of 1858; a few months later New Yorkers were ice-skating on the twenty-acre Central Park Lake for the very first time. Today, NYC’s 843-acre backyard guarantees endless fun; stroll through the gorgeous Conservatory Garden, climb up Belvedere Castle, and watch the world go by at Strawberry Fields. Other must-dos include striking a romantic pose on Bow Bridge, chilling out in the landscaped Shakespeare Garden, and visiting Central Park Zoo to get up-close with penguins, snow leopards, sea lions, and more. 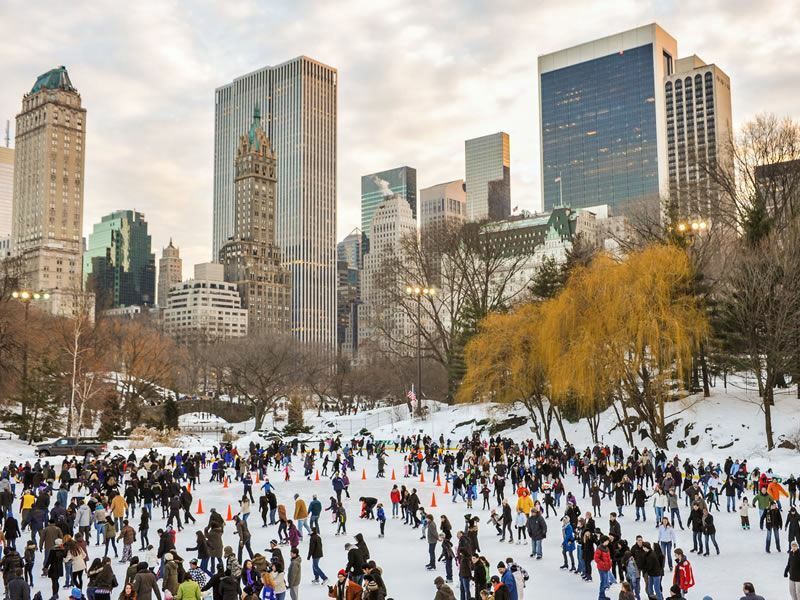 Highlights: Whilst it remains a hub of rollerblading, woodland walks, cycling, and baseball throughout the year, ice-skating at Central Park is the big draw in the winter months. To glide gracefully (or stumble) across the ice in the heart of Manhattan, head to the Trump-operated Wollman Rink between 62nd and 63rd Streets, or visit the Lasker Rink between 106th and 108th Streets. Skate and locker rentals are available at both locations. Where: In the heart of Rockefeller Centre at 1260 Avenue of the Americas. What: Nicknamed Showplace of the Nation, the legendary Radio City Music Hall is a 6,200-seat Art Deco theatre that opened in 1932. 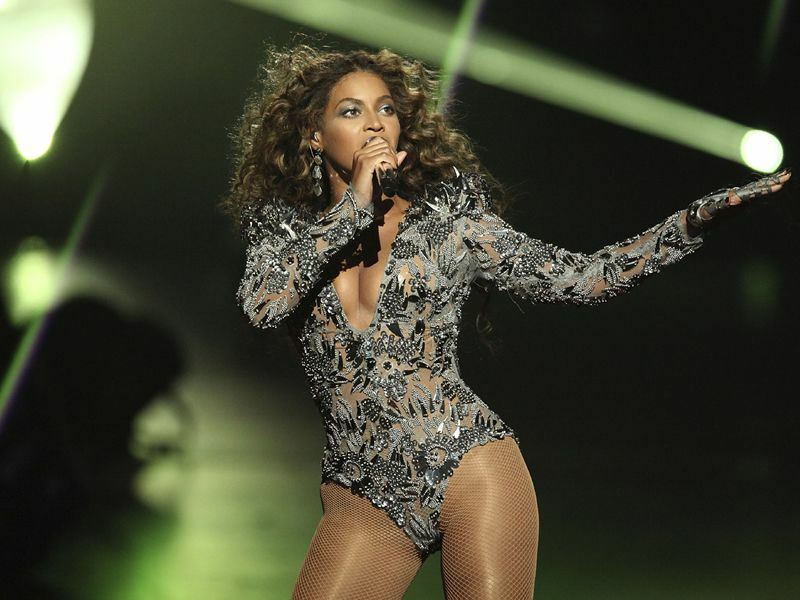 Nowadays it is still a prime entertainment venue, hosting some of the world's most star-studded bashes including the Grammy’s, Tony’s, and MTV Music Awards. During the festive season when chestnuts roast merrily on street-corner braziers, the legendary Rockettes - the precision dance troupe who have been kicking up their heels at this illustrious venue since 1932 - are the star attraction. Highlights: A true New York City institution, the Radio City Christmas Spectacular starring the Rockettes is the razzle-dazzle extravaganza ranked as America’s top holiday production. The running order has hardly changed in over 80 years; the show still delights with 90-minutes of famous dance routines such as Parade of the Wooden Soldiers and the Living Nativity. Most fabulous are the kitsch, titillating, and blinged-up costumes - every outfit is adorned with at least 3,000 Swarovski crystals. The Rockettes present five shows a day, seven days a week, during the Christmas season. The 2014 Radio City Christmas Spectacular at Radio City Music Hall will take place from November 7th to December 31st. Where: Starts at 77th Street and Central Park West; ends at 34th Street and Seventh Avenue. 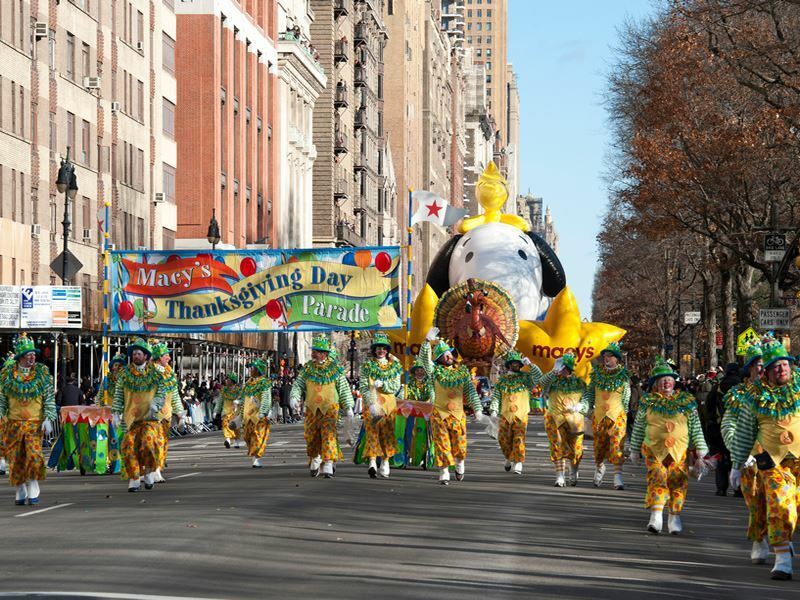 What: An annual tradition since Christmas 1924, when Macy's employees dressed in costumes and travelled with Central Park Zoo animals and floats from its flagship store in Herald Square to Harlem, the Macy’s Thanksgiving Parade was intended as a PR push. Over 250,000 people attended the inaugural parade; nowadays 3.5 million onlookers line the streets for the Macy's Thanksgiving spectacular. And millions more watch it live on television. Highlights: Following the trumpeting of the time-honoured phrase ‘Let's Have a Parade’, the activity kicks off at 9am and wraps up at midday. Whilst there are flamboyant floats, weird and wonderful costumed characters, marching bands, and dancers, clowns and cheerleaders galore, the show-stealer is always the giant helium balloons. These huge inflatable crowd-pleasers that soar through the air, fly low or stay grounded due to high winds, have been an annual fixture since 1927. Where: At 4 Pennsylvania Plaza on Seventh Avenue, between 31st and 33rd Streets. What: Since their debut in 1946, the fabled New York Knickerbockers - known as the Knicks – are part of New York’s legacy and tradition. 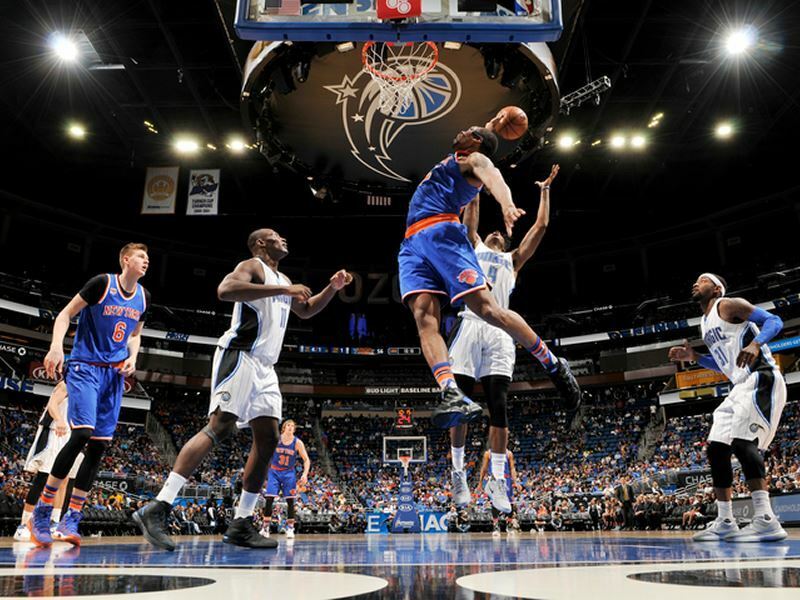 As a charter member of the National Basketball Association (NBA) - and one of only two NBA teams still located in its original city - the team plays at the world-famous Madison Square Garden in the heart of Manhattan. Highlights: You do not have to be a diehard sports fan - or even understand the rules of basketball - to enjoy watching the city's basketball darlings. No other team (apart from the Los Angeles Lakers) attracts the presence of A-list celebrity fans at its games. Interestingly, six prime courtside seats in Madison Square Garden are reserved for the three most prominent celebrities (plus guests) at any given Knicks game - this is nicknamed Celebrity Row. Cheer along with 20,000 basketball lovers at every high-flying slam dunk and pass, splash out on memorabilia (or at least a cap), and take a behind-the-scenes tour that includes a peek at the Knicks’ locker room. What: For cultural kicks, New York City has hundreds of world-class museums and art galleries housing some of the world’s best masterpieces; from the neo- classic to the super-modern. 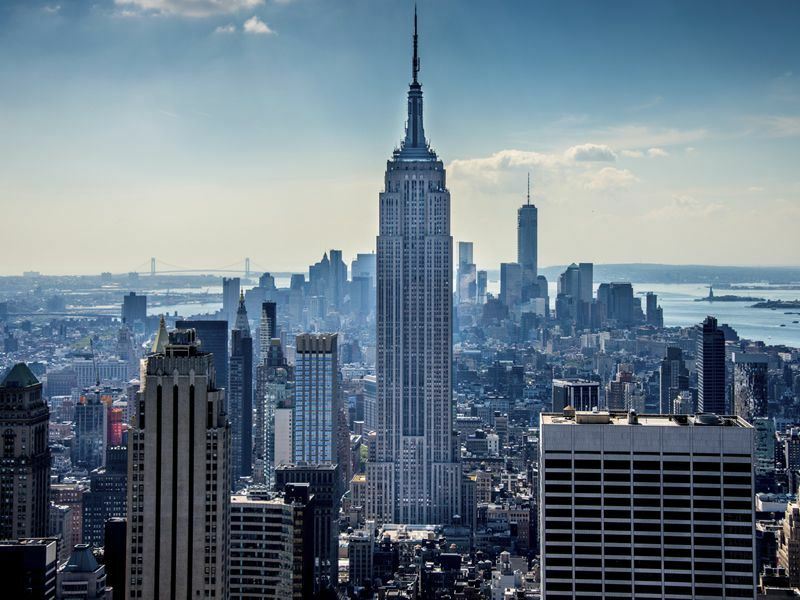 If you only have time to visit five, be sure to make it the Museum of Modern Art (known the world over as MoMA), Guggenheim Museum, American Museum of Natural History, Frick Collection, and Metropolitan Museum of Art. Highlights: Whilst the Metropolitan Museum of Art (known as The Met) showcases Greek, Roman, African, Egyptian, Byzantine and modern American art galleries, it is the works by the European masters (Rembrandt, Picasso, Vermeer, Van Gogh) that are the real draw. 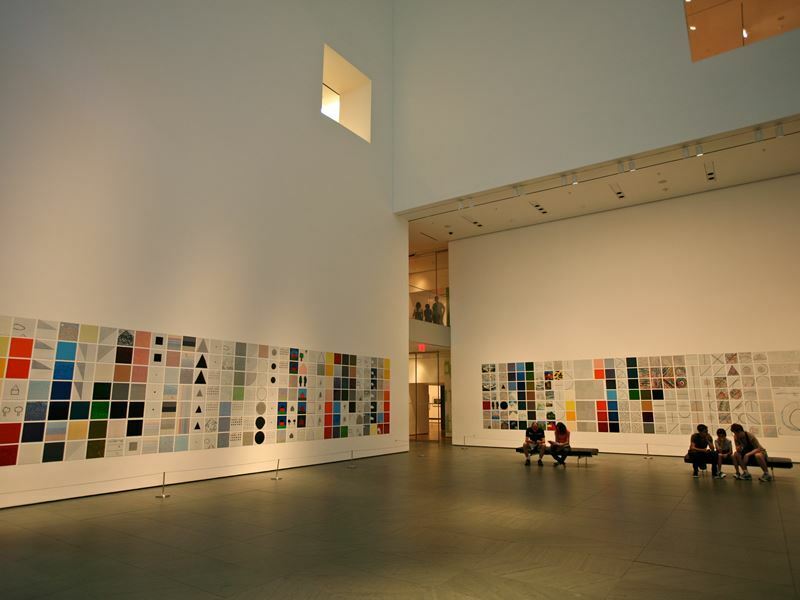 For more contemporary stuff, MoMA lives up to its hype as the world’s most influential modern art museum. Here you can browse six floors housing around 150,000 single works, including masterpieces by Cézanne, Moet, Dali, Matisse, Magritte, Pollock and Warhol. Also trip-worthy is the conch-shell shaped Guggenheim for its awe-inspiring permanent collections and temporary exhibits, the small-but-intimate Frick Collection for its irresistible art, and the American Museum of Natural History for its epic halls dedicated to earth's different biospheres and over 32 million specimens and artefacts. What: From swanky cocktail dens to designer-led wine haunts, New York is a nightlife capital with some of the world’s hippest bars set in neighbourhoods like East Village, Greenwich Village, Chelsea, and Williamsburg. SoHo is NYC’s quintessential enclave of downtown chic, offering many perennially trendy drinking haunts such as Pegu Club and Lani Kai. Rooftop bar Jimmy, located on the 18th floor of Soho’s James Hotel at 15 Thompson, is a must for speciality cocktails, high-end glamour, and jaw-dropping 360-degree views of the Manhattan skyline from the rooftop pool. 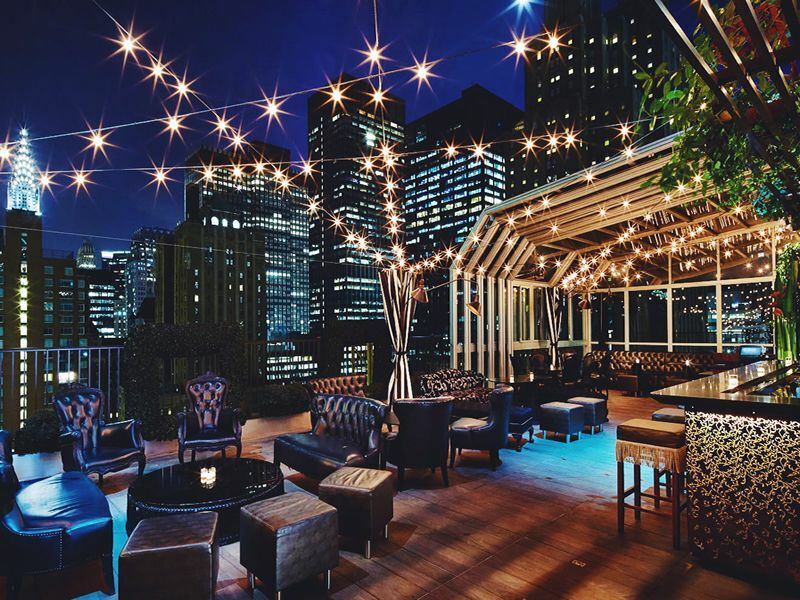 Highlights: Upstairs at the Kimberley, set 30 stories high atop the Kimberly Hotel at 145 East 50th Street is a penthouse-level lounge complete with 3,000- square-foot of drinking space and 360-degree views of Midtown Manhattan and the Chrysler Building. Also good for a tipple is Bemelmans Bar, housed in the 1930’s Beaux Arts-style Carlyle Hotel on the Upper East Side, and La Piscine, set atop Chelsea's Hôtel Americano at 518 West 27th Street. Cocktail lovers should not miss Death & Co. at 433 East 6th Street in Manhattan’s East Village. Hailed as the maverick of New York’s cocktail scene, this achingly cool space offers a unique (and deadly) cocktail menu. Where: Across the New York Harbour, running between Staten Island and Lower Manhattan. 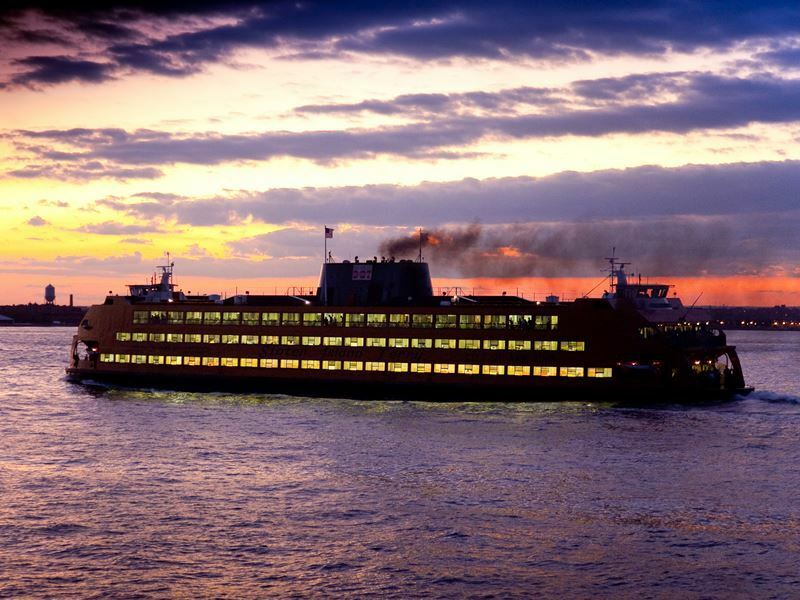 What: Operating every day of the week between the St. George Ferry Terminal on Staten Island and the Whitehall Terminal in Lower Manhattan, the Staten Island Ferry carries a whopping 75,000 people each day. There is no charge to hop on- board and enjoy the stunning views of the Statue of Liberty, Ellis Island, and the lower Manhattan skyline. On both weekdays and weekends, boats leave and arrive on the half hour. The five-mile ferry journey takes about 25 minutes. Highlights: You cannot leave New York without gazing at the Statue of Liberty, the national monument commemorating the American Declaration of Independence that was a ‘gift of friendship’ from France in 1886. This symbolic New York landmark weights 204 metric tonnes and stands an astonishing 151 feet in height - it’s actually 305 feet from the ground to the torch. Also unmissable is Ellis Island, where the Immigration Museum is dedicated to the 12 million newcomers who passed through here between 1892 and 1954 in search of the American dream. Hear their moving stories, watch the emotive ‘Island of Hope, Island of Tears’ documentary in the museum’s theatre, and tour the eerily-quiet historic areas - Great Hall, Registry Room, Baggage Room and Dormitory.